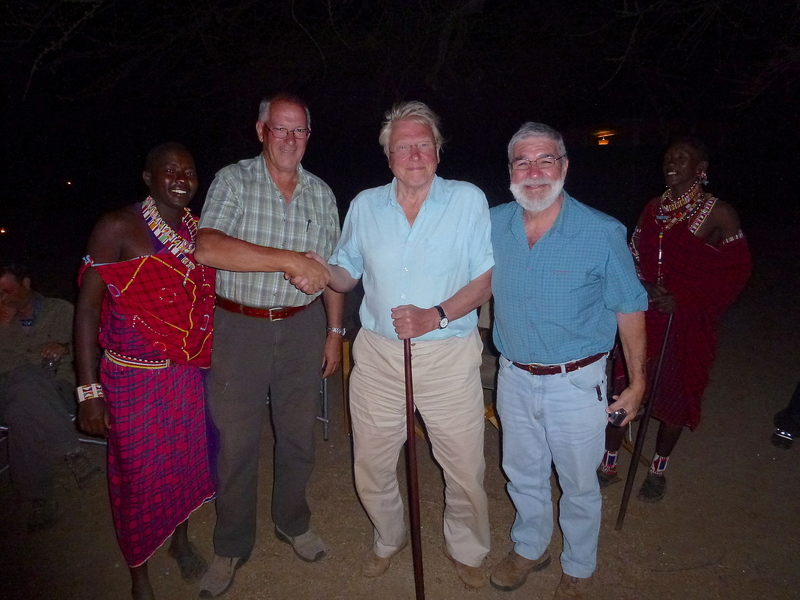 Sir David Attenborough and his BBC crew coincided with our stay at Porini Camp, Amboseli. They were making a documentary on the ‘Lion Guardians’, about how the Masai warriors now adopt a lion and protect it – rather than killing a lion as a rite of passage. This picture shows (L to R) Wilson Kasaine (Porini Camp naturalist), Bruce Stark of SafariKenya, Sir David Attenborough, and safari guest, Dominic Court.